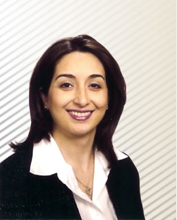 Dr. Lida Sadr, D.D.S. is a Virginia licensed dentist since 1997, specializing in Cosmetic & Restorative Dentistry as well as Full Mouth Rehabilitation. Dr. Sadr received her D.D.S. diploma from Lunds University in 1996. She attended a one-year post-doctoral advanced program at Virginia Commonwealth University in Richmond, and later a 3-year post-doctoral Prosthodontics specialty program. Her field of specialty is cosmetic and restorative dentistry, implant restorations, removable dentures and partials. Dr. Sadr firmly believes in continuing education to keep abreast of the latest techniques in the dental field. She attends dental conferences on a regular basis and is a member of the American Dental Association, Virginia Dental Association and Tidewater Dental Association. Dr. Sadr lives in Virginia Beach and lives with her husband and her two children. She enjoys reading, traveling and outdoor activities. Dr. Sadr received the title of “Top Dentist” from Northern Virginia Magazine and Coastal Virginia Magazine. Dr. Bijan Kooshki received his degree of DDS (Doctor of Dental Surgery) from Lund University in Sweden in1996. Later he attended a post-doctoral advanced program at Baylor College of Dentistry in Dallas, Texas and a three years Periodonics residency program at Virginia Commonwealth University in Richmond, Virginia. His field of specialty is gum treatment, implant placement and extractions. Dr. Kooshki has been practicing in the filed of Periodontics and dental Implant placement in Virginia area for the past 15 years with excellent reputation. He was voted “ Top Dentist” in Northern Virginia Magazine and Coastal Virginia Magazine. Dr. Kooshki has held a position as Associate Professor at Virginia Commonwealth University, School of Dentistry since 2008. He is an active member of the American Dental Association, Virginia Dental Association and Tidewater Dental Association. 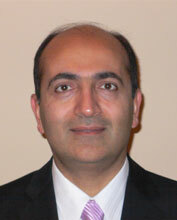 Dr. Kooshki lives with his wife and their two children in Virginia Beach and he enjoys reading, swimming and traveling.